Called the AIRpod, this alternative fuel vehicle produced by Motor Development International is powered by compressed air. It comes in three models that vary the number of seats and amount of cargo storage while keeping the same basic chassis. 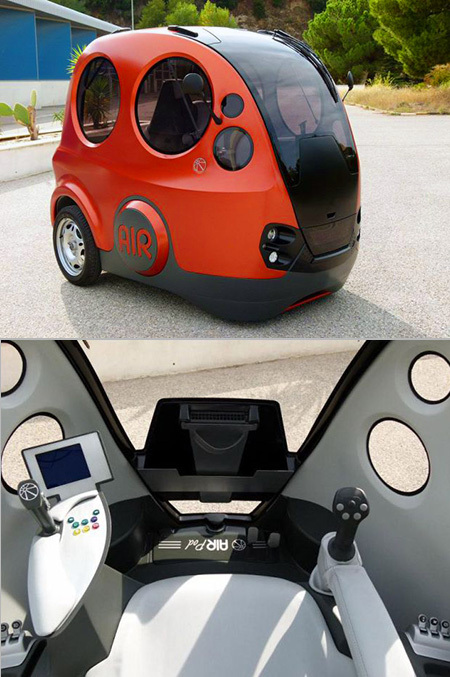 Continue reading for a video and more information.It is designed as an zero-emission urban vehicle. Prototypes have been tested by KLM/AirFrance for use as emission-free vehicles in airports. No word yet on pricing or commercial availability.